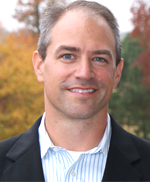 CEO of Genesis Consulting Jason Fair has more than twenty years of experience. Jason leads re-engineering and modernization initiatives for complex business operations, developing and delivering lean and agile ERP solutions to his customers. He challenges the traditional ERP waterfall delivery approach and incorporates lean and agile techniques to stimulate and increase project teams productivity and accelerate benefits realization. Jason is nationally recognized as a thought leader in the agile community innovating the delivery of ERP solutions using lean, Agile, kanban, and Design Thinking. He is a Certified SAP Consultant, PMP, CSM, and a CPA. Have you wondered how to deliver your COTS projects quicker and realize their business value sooner? How do you remove all of the “ceremony” and “waste” of the implementation process, while maintaining the integrity of the delivered COTS package? Commonly, traditional waterfall project methodologies are used to implement comprehensive COTS projects. However, many of these implementations finish late and over budget. Stakeholders are often disappointed at the quality of the delivered product and the reduced or delayed realization of benefits.